A cricket on the hearth long has been a symbol of good luck in many cultures. For Grovetown resident Robin Goldsmith, however, a chance encounter with a cricket was a source of good fortune and inspiration. 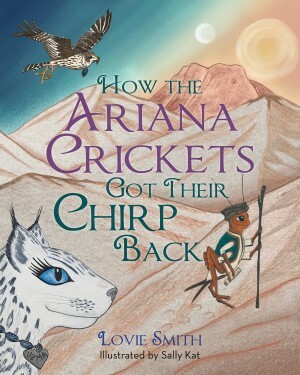 Her children’s book, How the Ariana Crickets Got Their Chirp Back, will be available in bookstores and on amazon.com on August 1, and she has a cricket to thank for it. In the winter of 2004, during her first of two civilian tours in Afghanistan, Robin was reading by night light through cracks in the wall of her plywood hut 5,500 feet above sea level at Bagram Air Base. Suddenly and silently, a cricket appeared on her chest. 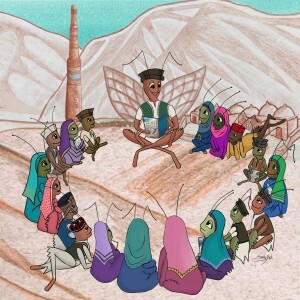 In the story, a young cricket sets out to re-teach other Afghan crickets how to chirp – a skill they had forgotten during a long drought – so the rains would return to Afghanistan. However, this could happen only during a big event when nighttime falls during the day. Other indigenous animals help the cricket travel across the country. 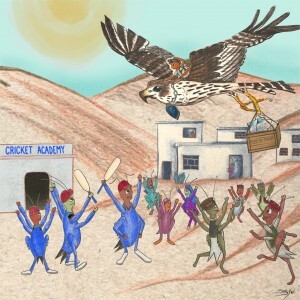 In addition to native Afghan animals, the story features adventure, science, architecture, agriculture, at-risk historic sites, history, family, love, the game of cricket and working together with others for the common good. Written under the pen name Lovie R. Smith, the book is geared toward children ages 5 to 13. Robin dedicated the book to two men – a carpet seller and an elderly silver jewelry maker – that she befriended in Afghanistan. “The book has no mention of war. Instead, it suggests an oppression,” says Robin. She also has Afghan-American friends who are translating the story into the Dari and Pashto languages. She intends to publish paperback copies of the translated versions of the book in Afghanistan. “Afghanistan has been beset by 35 to 40 years of war, and most people are illiterate,” says Robin. However, younger government officials are being elected in Afghanistan, she says, and they are placing an emphasis on education. 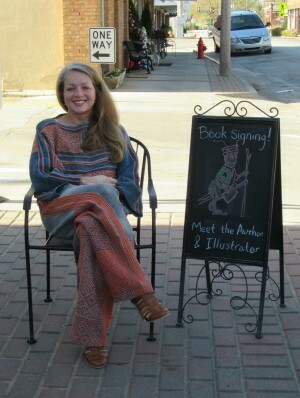 Sally says it took her about three months to finish the illustrations. 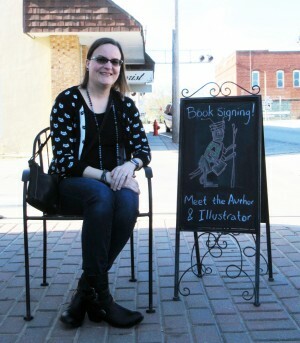 She started out with paper and color pencil before completing the drawings on a tablet. Production of the book started in July 2017. However, Robin still did not have an ending for the story. That situation changed on August 21, 2017 when she witnessed the total solar eclipse in Edgefield, South Carolina. “God told me to change my idea for the ending, which had been a clash of sorts, to a solar eclipse,” says Robin. 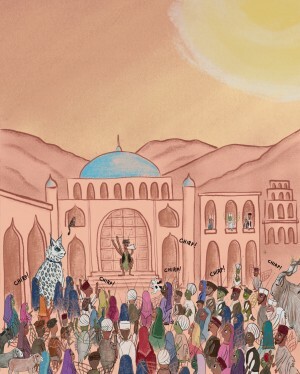 She had known all along that the story would end in the heart of Afghanistan in Kandahar, where all the animals converge for the solar eclipse. When Robin first decided on the ending for her book, however, she did not yet realize that Kandahar was the site of the last total solar eclipse in Afghanistan in 1995 and that the next one in the country will be visible from northern Kandahar Province in 2034. Robin also has been contacted by the Afghan Ministry of Information & Culture about making a short, animated film based on the book. In addition to being Robin’s first publication, Ariana Crickets also is the first published work that Sally has illustrated. And she is thrilled to be part of the project. Published on June 29, 2018 in Features, People and tagged front by Kristy Johnson.